Helen Shanbrom, who was the most successful club player in the history of the ACBL, died in 2013, in Tamarac FL, where she lived. She was 94. Shanbrom won the Grand Life Master category of the annual Ace of Clubs competition so many times that it was named in her honor in 2011. Only masterpoints won at clubs count in the Helen Shanbrom Ace of Clubs races. Shanbrom won her category most recently in 2011, earning 539 masterpoints, mostly at the Pompano Beach (FL) Duplicate Bridge Club. She was a Grand Life Master by virtue of her win with Joan Remey Moore in the 1993 Leventritt Silver Ribbon Pairs. Her lifetime masterpoint total was 24,393, nearly 19,000 of which were black points from club games. The annual Mini-McKenney masterpoint races are won by the member from each masterpoint category who earns the most total pigmented masterpoints during the year. Unit winners are also designated and, for a fee, commemorative Mini-McKenney medallions are awarded to these players. 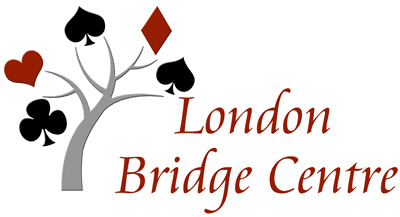 Congratulations to our London Bridge Centre winners in Unit 249 2017 Mini-McKenney and Helen Shanbrom Ace of Club competitions.